Golden Valley Electric Association’s chief executive says the 50-megawatt Healy 2 power plant is finally fully online and commercially operational after successful testing of repaired/updated systems. Golden Valley President and CEO Cory Borgeson said Thursday he expected Healy 2 to reach an important requirement overnight that will qualify the coal-fired powerplant to be declared commercially operational. “As of midnight tonight, GVEA’s Healy Unit 2 will have hit the milestone set by the Regulatory Commission of Alaska,” Borgeson said. The RCA, which regulates the state’s utilities, required Healy 2 to operate for at least 30 days at 85 percent or higher “availability.” The availability factor of a power plant is based on the amount of time it’s able to generate electricity dependably over a given period. “The RCA wanted us to meet at least 85 percent availability for the 30-day period. So we far exceeded that,” Borgeson said, referring to the nearly 95 percent rating. 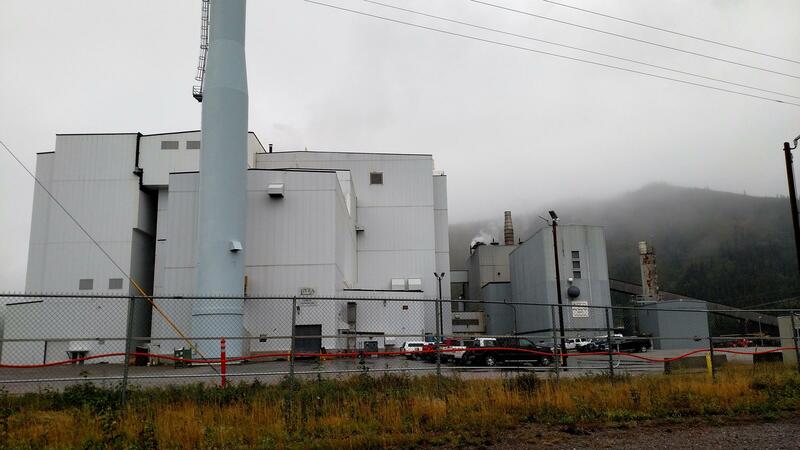 Golden Valley workers and contractors have been slowly stepping-up operation of Healy 2 since July, after they’d completed $20 million worth of repairs and modifications to the system that feeds coal into the boiler. That’s the system that malfunctioned and caused two explosions during test runs over the past couple of years. Borgeson says the problem appears to be fixed. Borgeson says the power plant and all its many subsystems also are running well. Coal is the cheapest fuel available for generating electricity, so Borgeson says Healy 2 will enable Golden Valley to cut operating costs by reducing use of its diesel and oil-fired generators. He says ratepayers should see those cost savings reflected in their bills as of December 1st. The coal-feeder system problems were the latest of many malfunctions at the power plant, which was completed in 1997 at a cost of $300 million in mainly federal and state funding. The plant began operation in 1998, but it failed to run dependably and economically, so it was mothballed in 2000. Thirteen years later, Golden Valley bought it for $44 million in a deal with the Alaska Industrial Development and Export Authority. That’s part of the $175 million total that Golden Valley has spent on upgrades at the plant, including systems to reduce emissions.